hsa = findHeatSource(thermalmodel.HeatSources,RegionType,RegionID) returns the heat source value hsa assigned to the specified region. 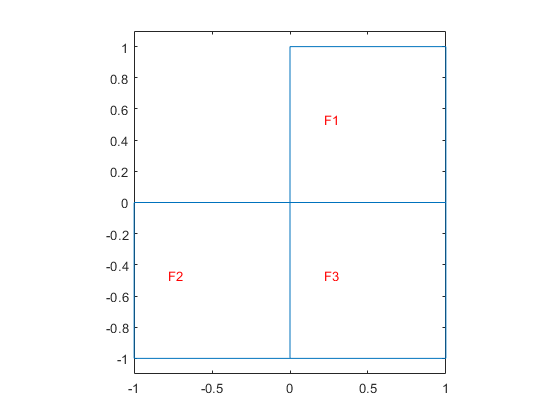 Create a thermal model that has three faces. Specify that face 1 generates heat at 10 W/m^3, face 2 generates heat at 20 W/m^3, and face 3 generates heat at 30 W/m^3. Check the heat source specification for face 1. Specify that the cylinder C1 generates heat at 10W/m3, the cylinder C2 generates heat at 20W/m3, and the cylinder C3 generates heat at 30W/m3. Check the heat source specification for cell 1. Check the heat source specification for cells 2 and 3. 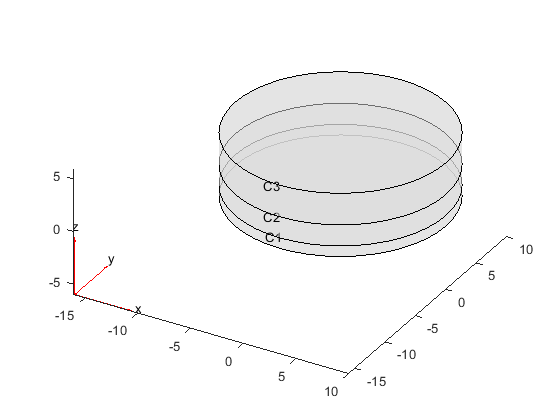 Internal heat source of the model, specified as the HeatSources property of a ThermalModel object. Geometric region ID, specified as a vector of positive integers. Find the region IDs using the pdegplot function, as shown in Create Geometry and Remove Face Boundaries or STL File Import. Heat source assignment, returned as a HeatSourceAssignment Properties object.